There comes a time when we all need to go in a protective mode and save our hair from the damage caused by all kinds of natural elements. What is a lady supposed to do in such times? Well, my dear, there is one thing that you can do for sure. Oh, hey! No going bald here, so relax. 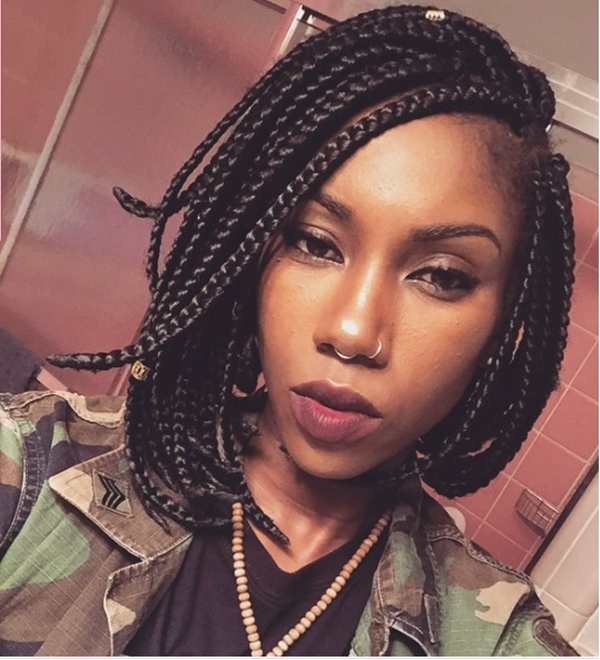 I’m talking about getting a protective style for your hair. 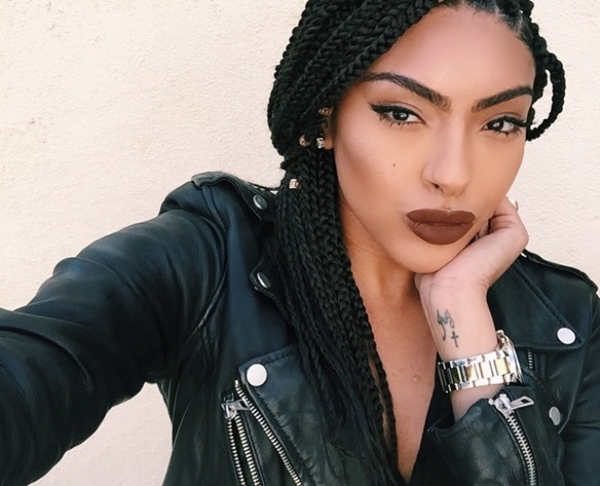 And nothing protects your hair better than the twists and braids hairstyles. 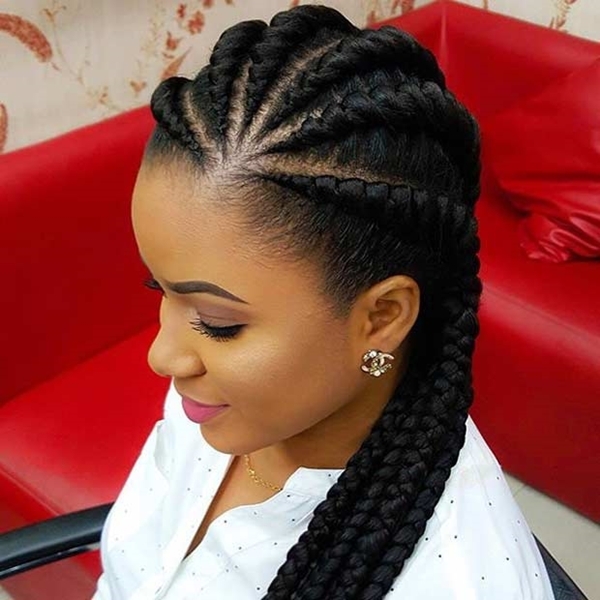 That’s why today we have come up a great list of Lovely Ghana Braids Hairstyles. 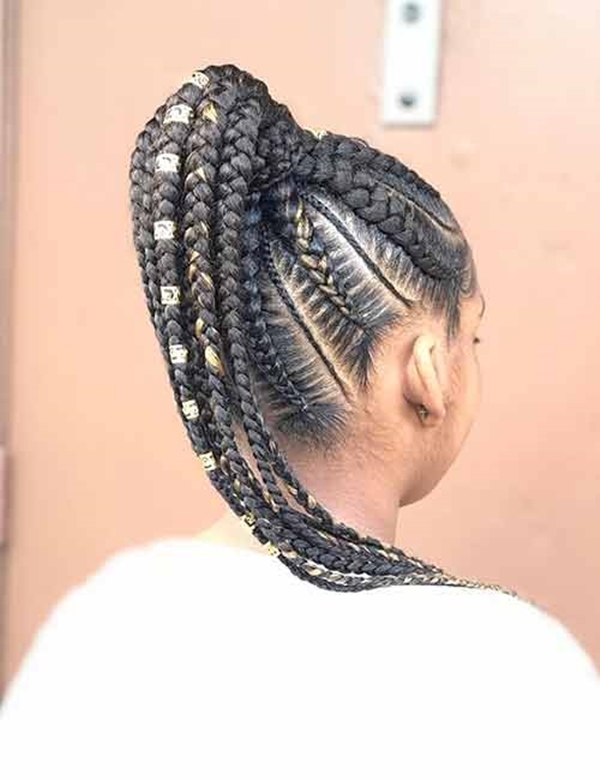 Lovely Ghana Braids Hairstyles are an African style and I know, one can easily confuse them with cornrows but the Ghana braids are different, slightly. 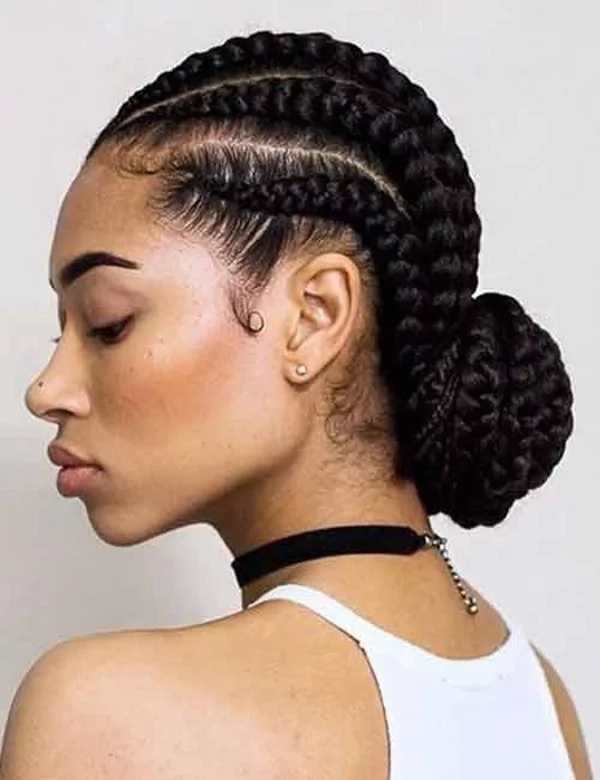 As if that wasn’t enough to confuse a person, the Ghana braids are also known as invisible cornrows, Cherokee cornrows, pencil braids or banana cornrows. 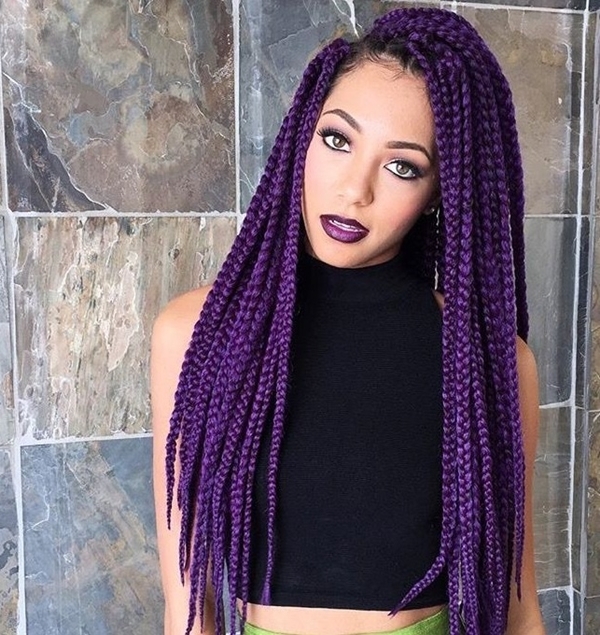 Don’t confuse yourself with these many names and just remember one thing – these braids hairstyles look marvelous. 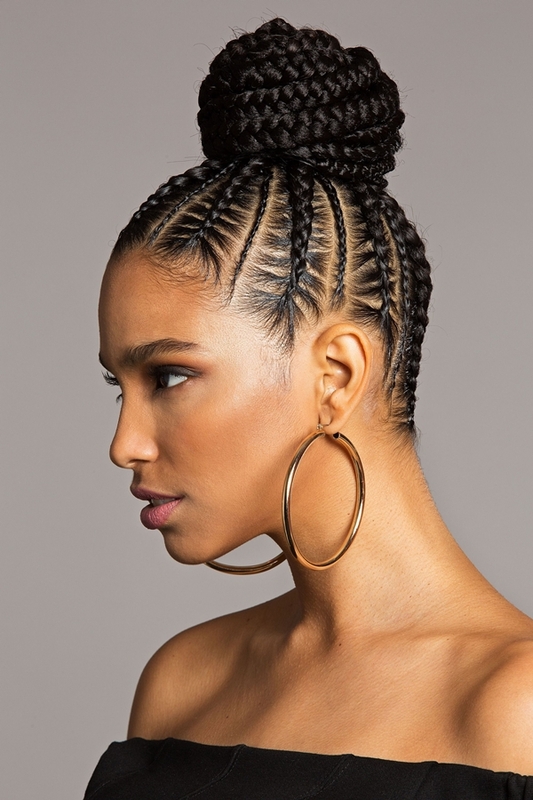 We talked about how one can get confused between the cornrows and the Ghana braids, but there is one thing that can clear things for you easily. 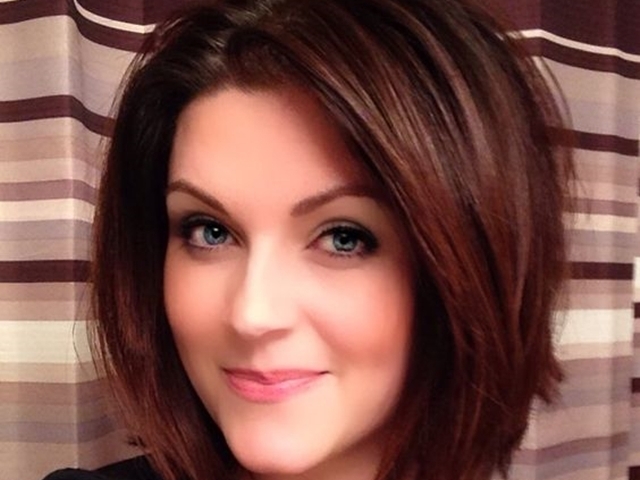 And that is the hair extensions. Or more like the way the hair extensions are used to be exact. 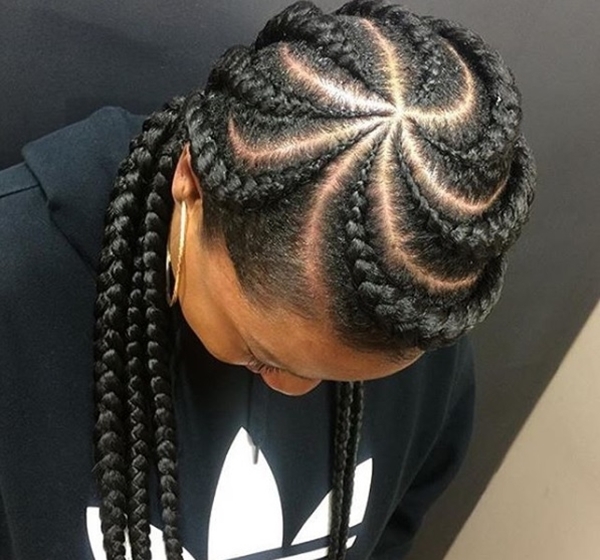 This is one of the reasons why the Ghana braids look more natural as compared to the cornrows. 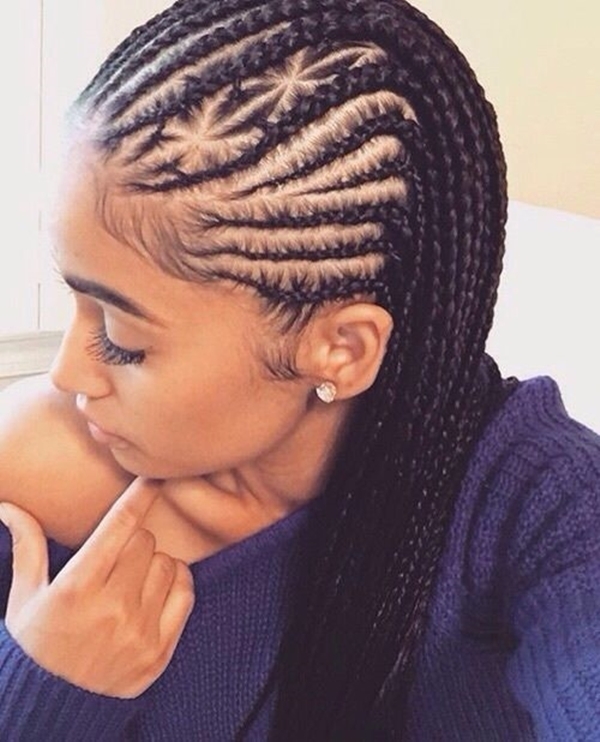 In Ghana braids, a small amount of hair is used in the beginning and then the amount is gradually increased. 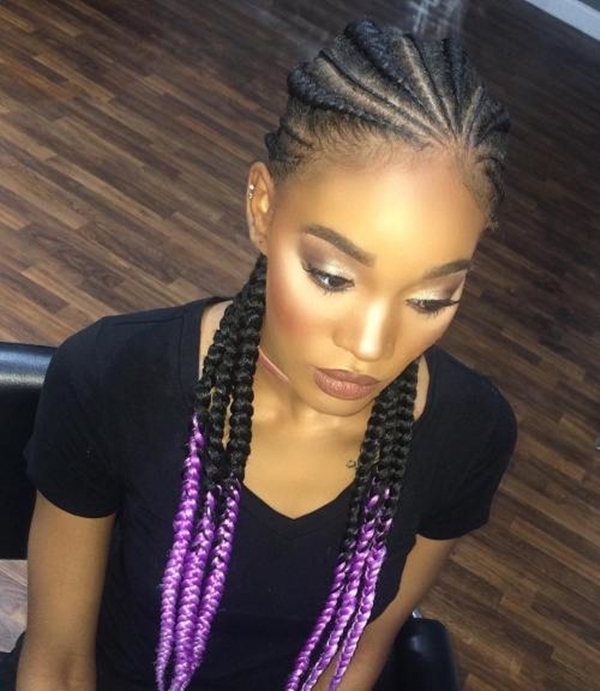 For Ghana braids, you should pick the synthetic hair extensions rather than human hair. 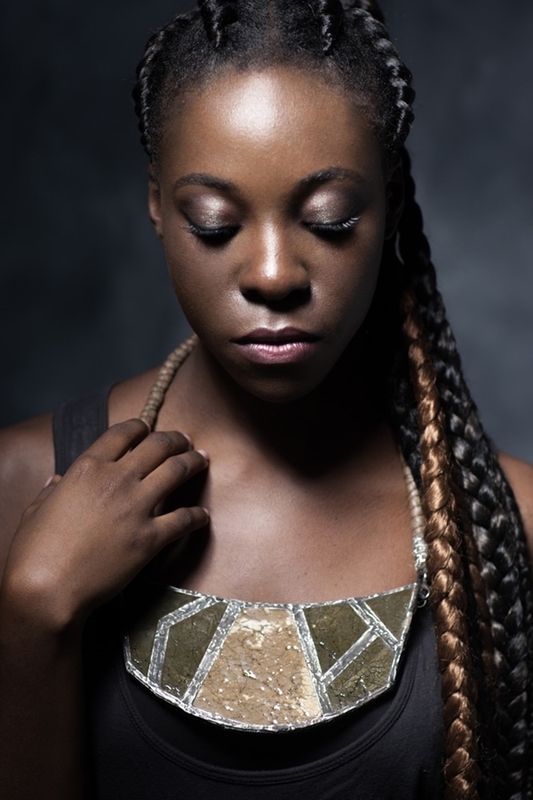 The Ghana braids will last for about four to five weeks, even longer if you take care of them properly. 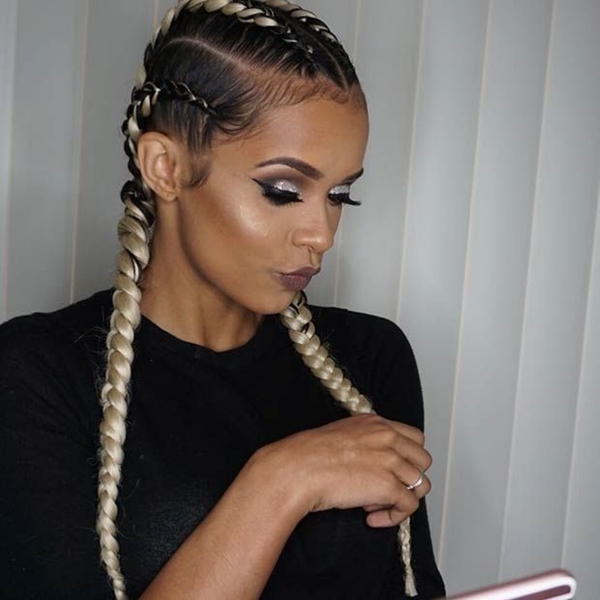 Human hair extensions would get all frizzy in that much amount of time. 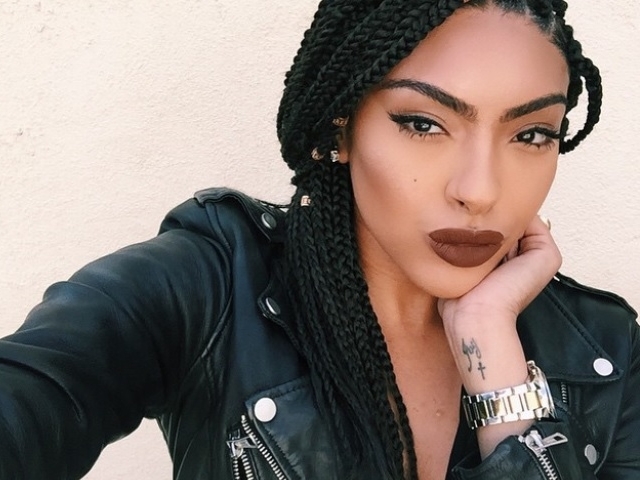 Also, there is a good chance of the extensions slipping out due to their natural soft and silky texture. 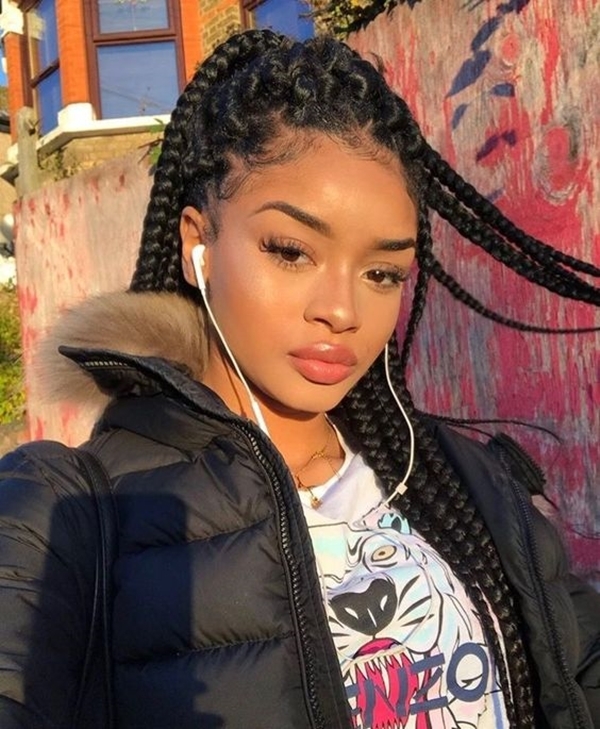 So, synthetic hair extensions it is. 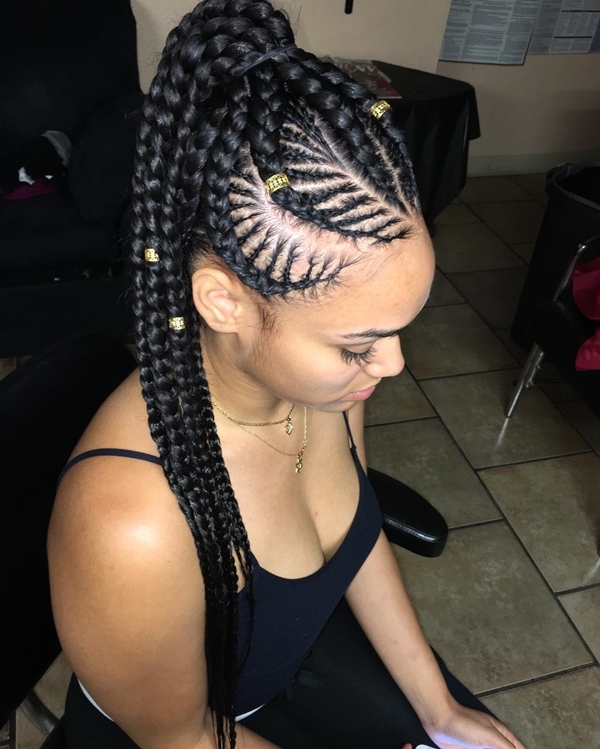 Kanekalon hair is very much popular for this. Got a plus size in there? 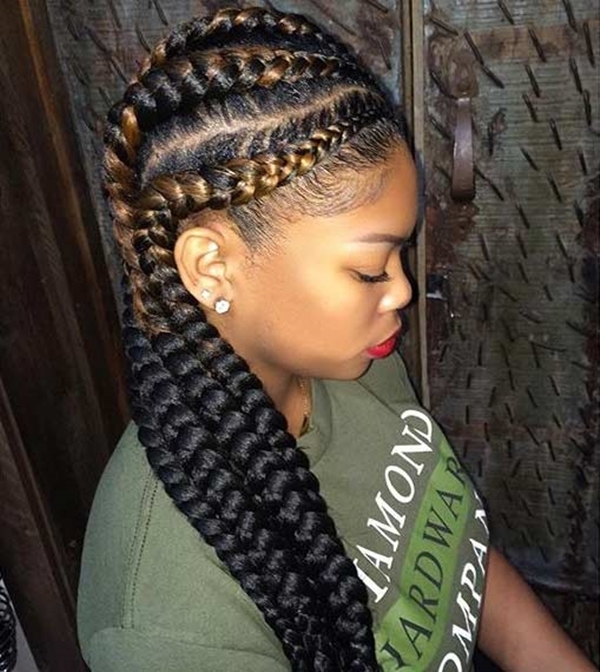 Well, these are the hairstyles that would look lovely on you. 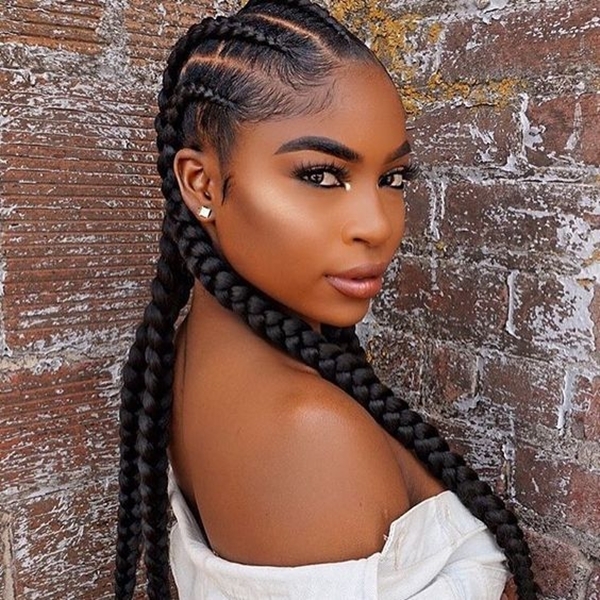 One of the best things about Ghana braids is that with its natural look and volume, you can try every hairstyle with them. So, if you are in a mood of cute pigtails, then there is nothing stopping you from getting them. 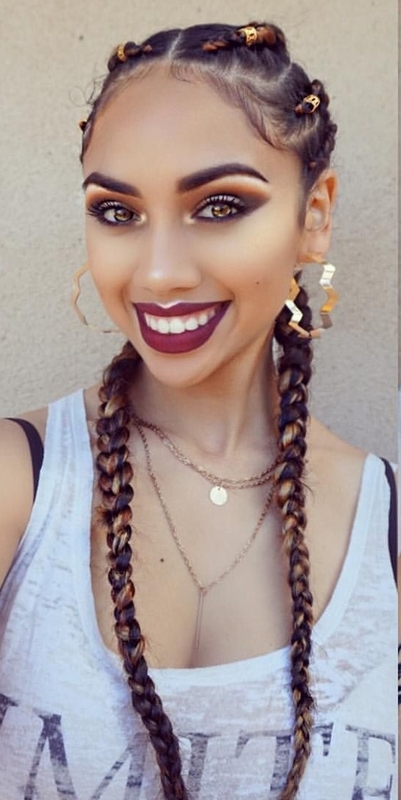 These are some of the hairstyles that never gets old. In a hurry to step out on the street? Not a big deal! 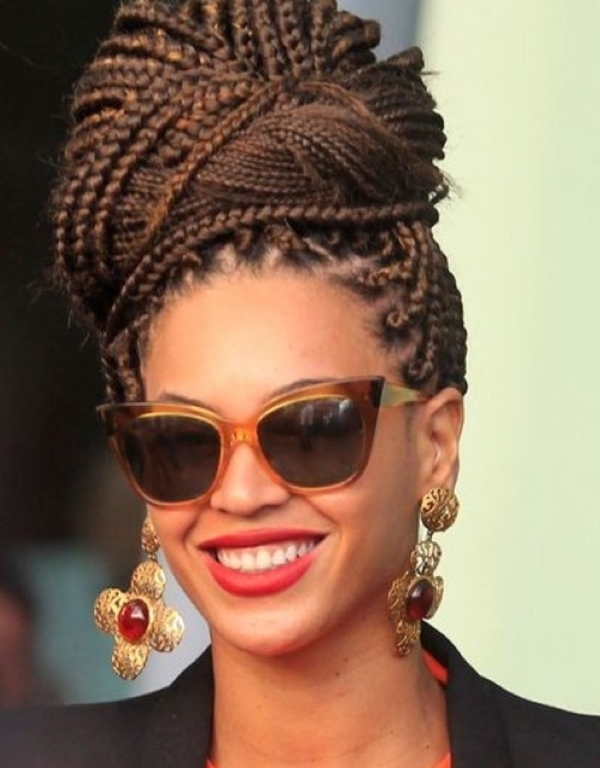 Just pull your Ghana braids together towards the crown of your head and make a ponytail. It looks smart, chic and casual. 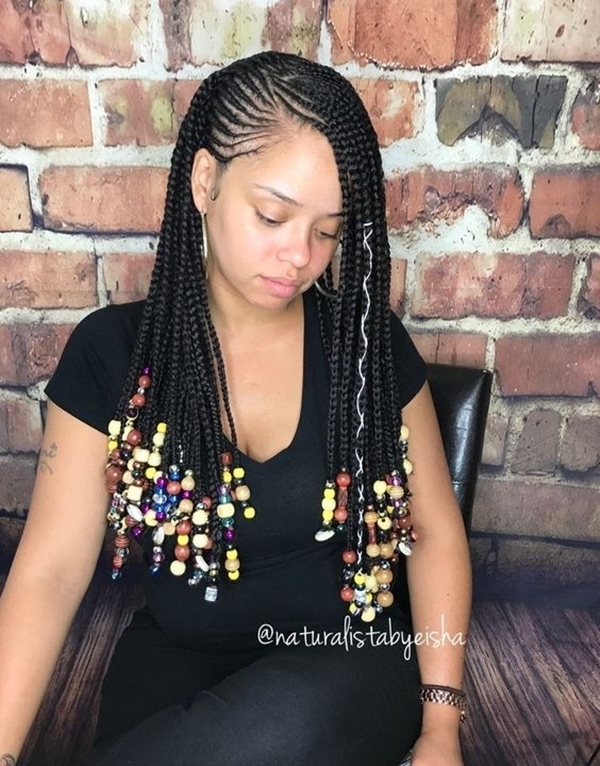 Ghana braids add more volume to your hair but such that it all looks natural. 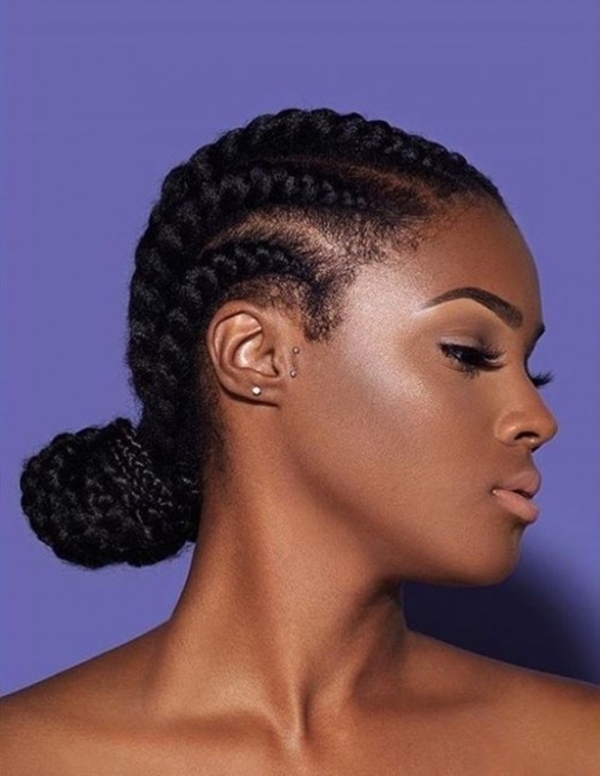 And a low bun with Ghana braids is all you need to enhance that natural beauty of yours. 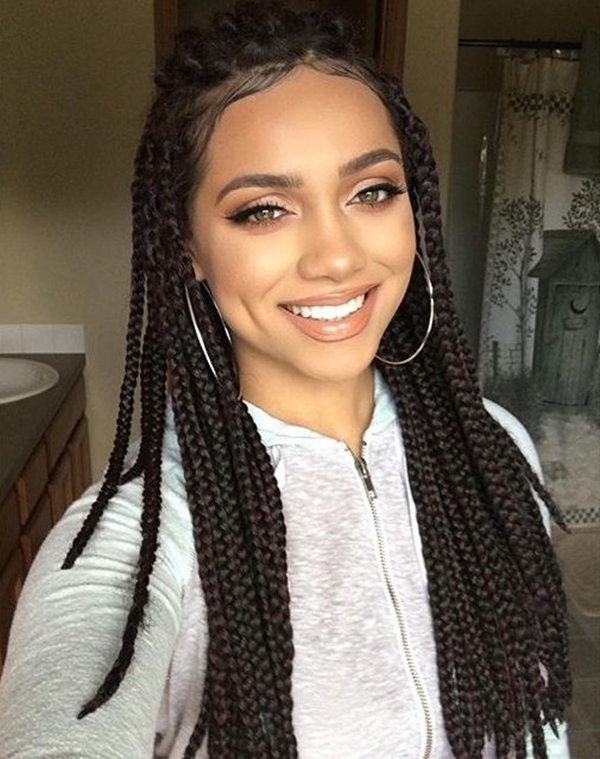 Those natural chubby cheeks would look more lovely and cute with these hairstyles. A simple look can change to extraordinary with the right accessories. 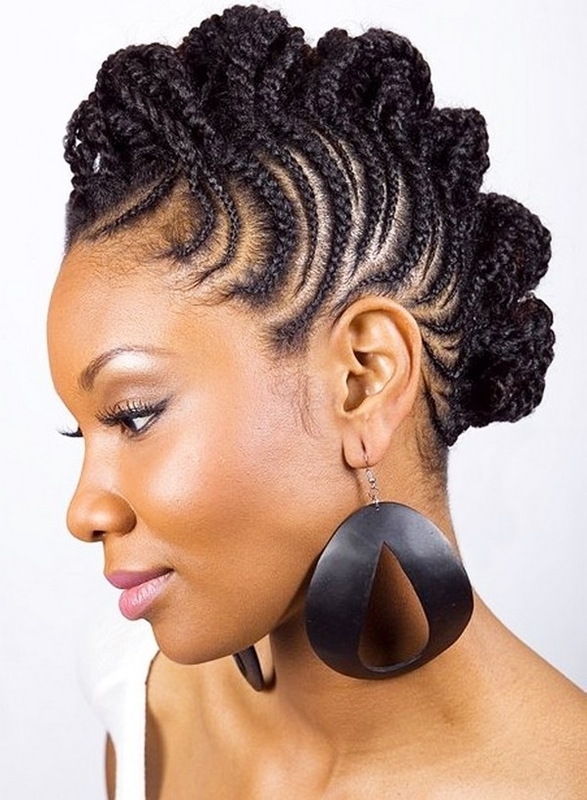 So add more bling to your Lovely Ghana Braids Hairstyles with some beads and shine much brighter. 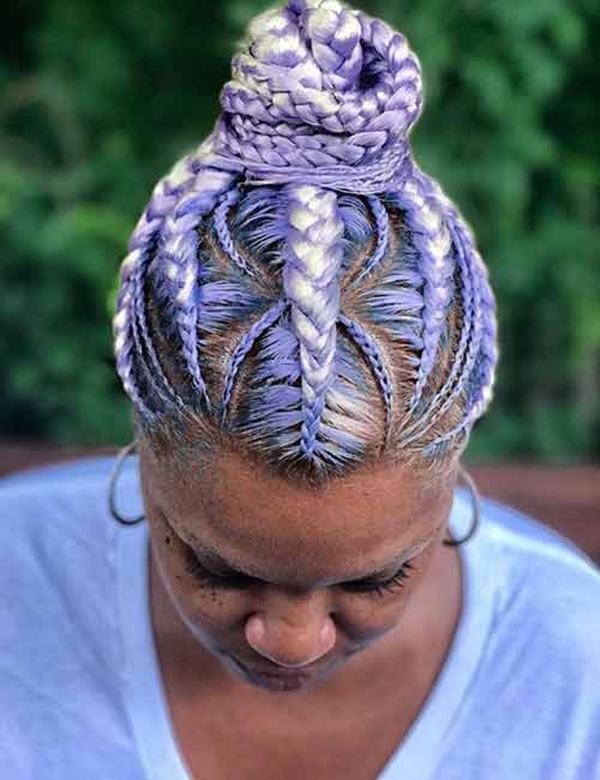 You can have braids as micro as you want and if you want some chunky thick braids then you must get them. 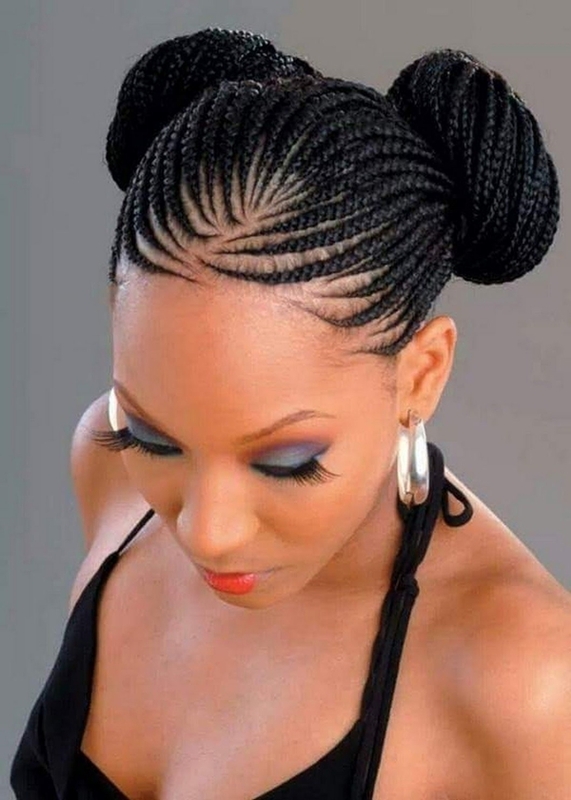 That is the beauty of Ghana braids. It gives you a plethora of options to choose from. 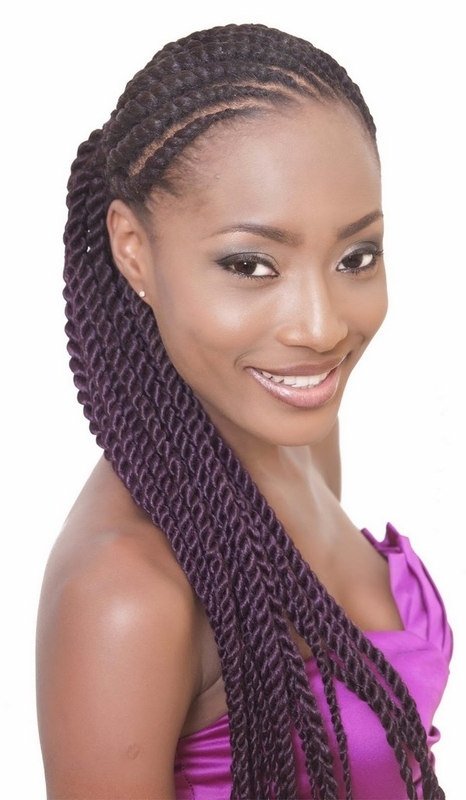 With some unique intricate pattern, you can add more variations of your own to the jumbo Ghana braids. 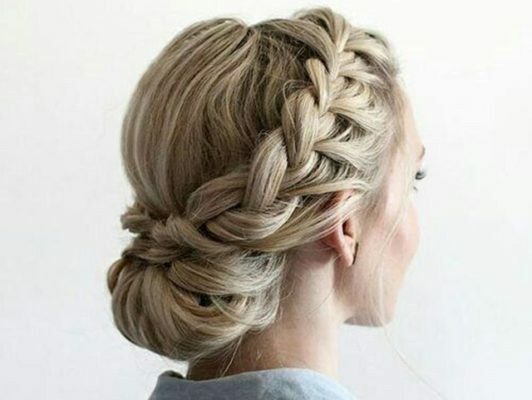 If you are looking for some elegant hairstyle then look no further because this chic updo will suffice just fine. 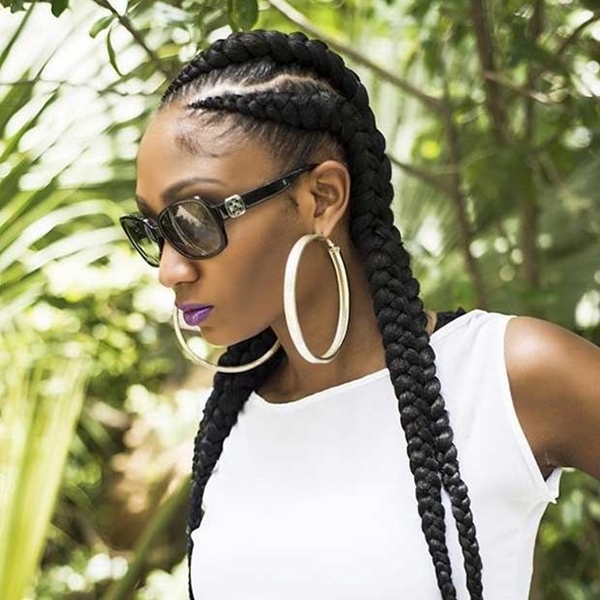 To add more oomph to your Lovely Ghana Braids Hairstyles try something different like star or ocean patterns. 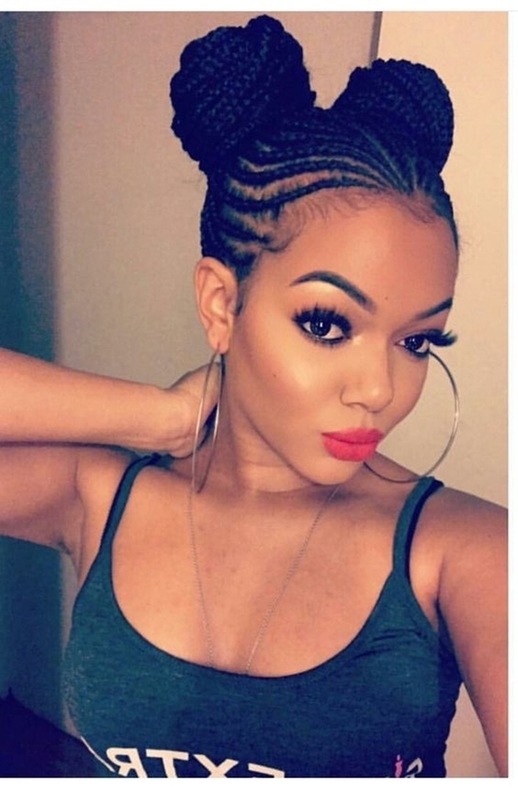 When in a mood of casual and cute look, you can always rely on pigtail buns not to disappoint you. 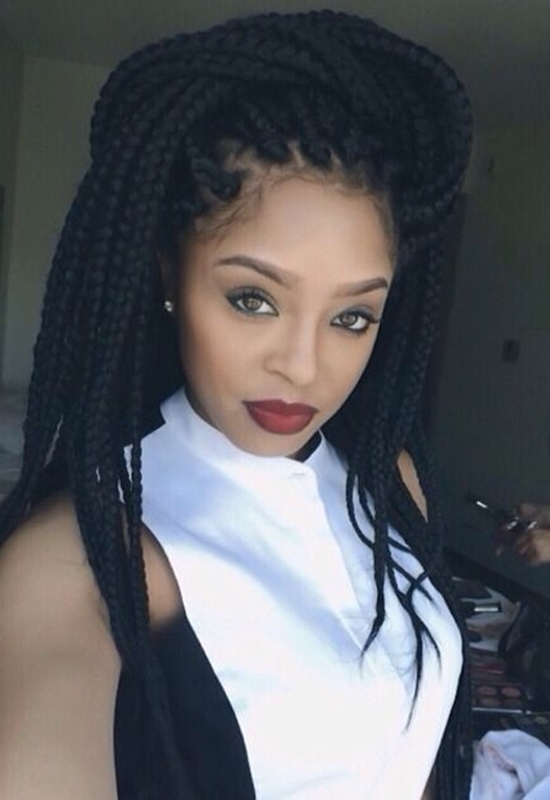 Add the lovely Ghana braids into the mix and you can bet your cute bubbly look will ooze out of you. 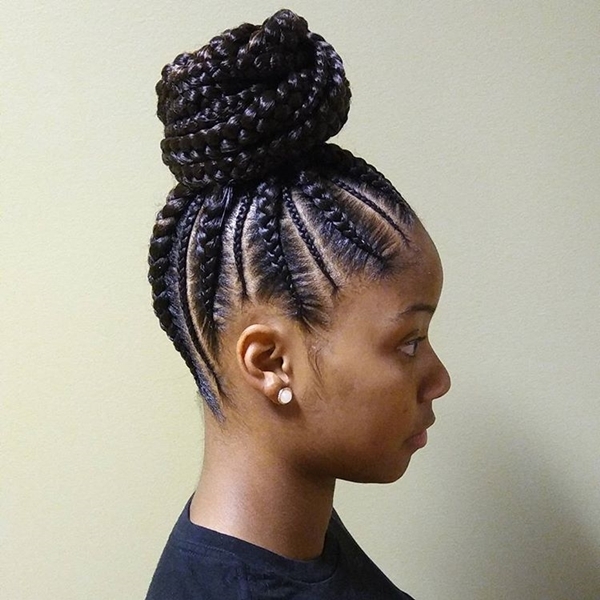 With these buns hairstyles, you wouldn’t need to worry much. 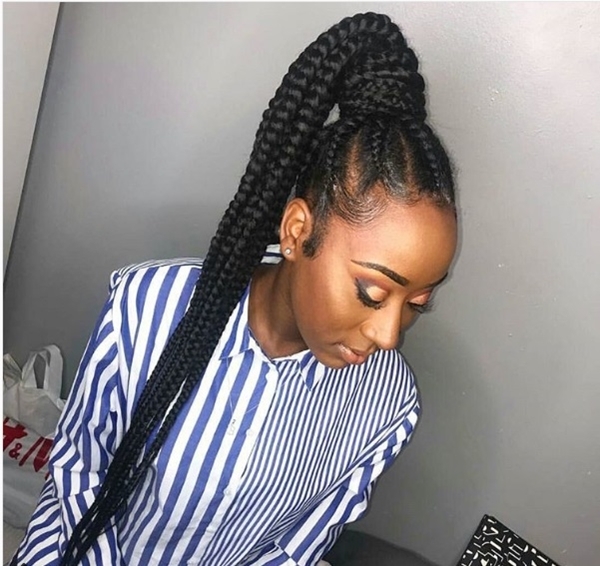 How Long do Ghana Braids Last? 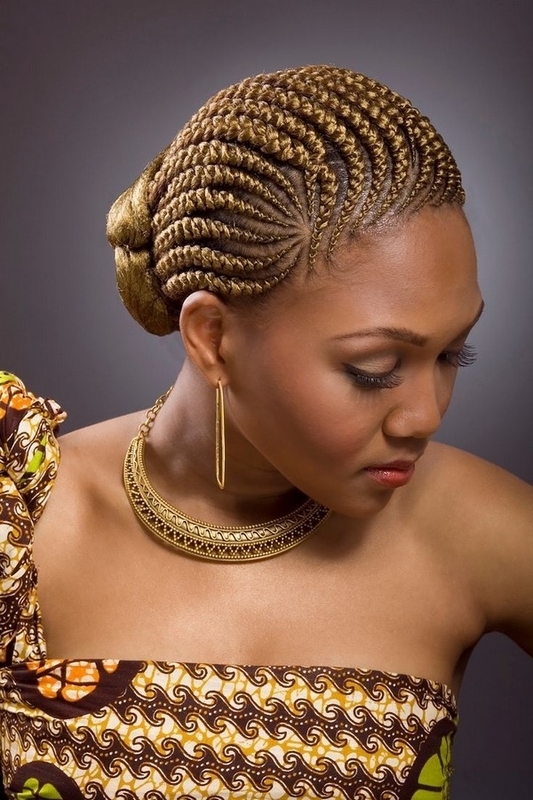 Lovely Ghana Braids Hairstyles can be worn for several weeks, even two months if you take care of them. But generally, they will last for about four to six weeks. 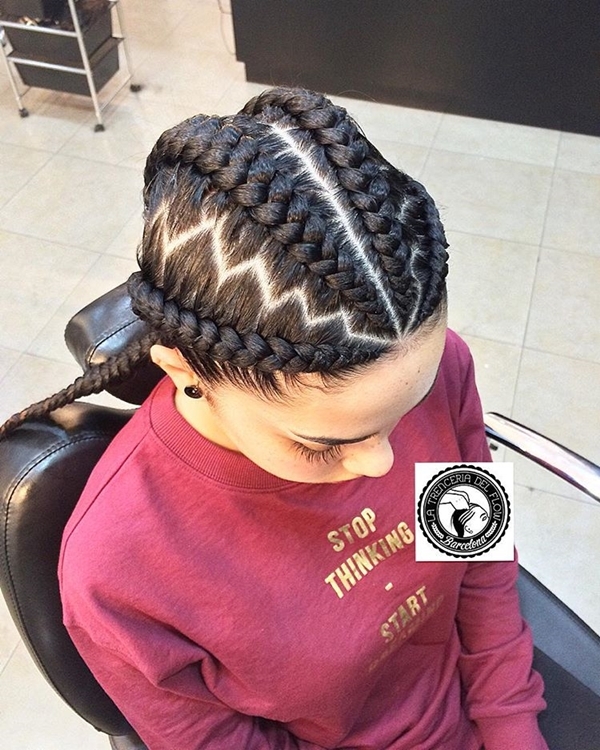 Of course, it also depends on how much efforts you are taking to maintain the style. A satin or silk pillowcase or a scarf will come in handy at night. 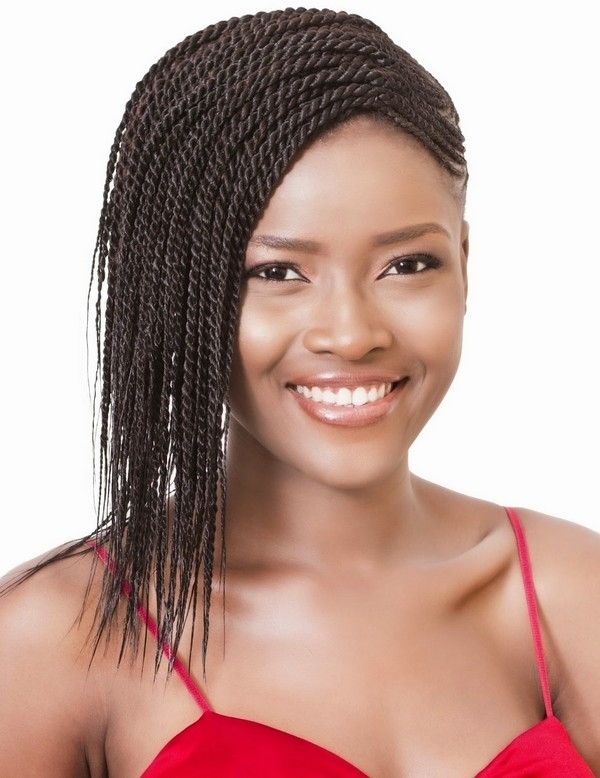 Don’t go washing your hair every two to three days because that will surely ruin your Ghana braids. 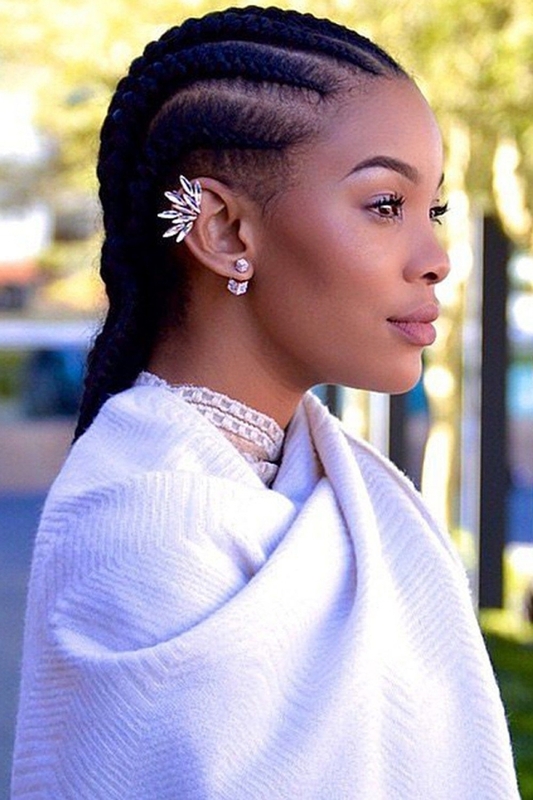 Once a week will do the job and for moisture, you will need to give your scalp some oily touch. Moisturizer sprays will also work fine. 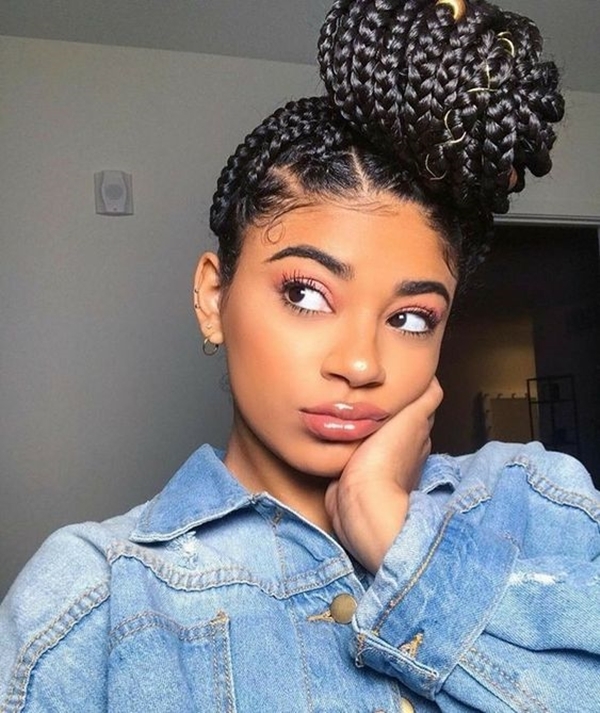 After taking care of your hair with so many efforts, it’s only fair if you try some of these amazing hairstyles for your thick hair. 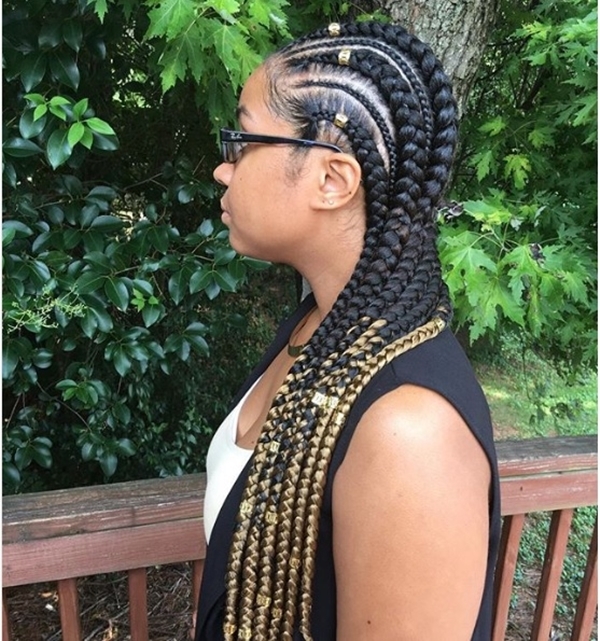 The Lovely Ghana Braids Hairstyles will help your hair to grow and flourish in a healthy way. 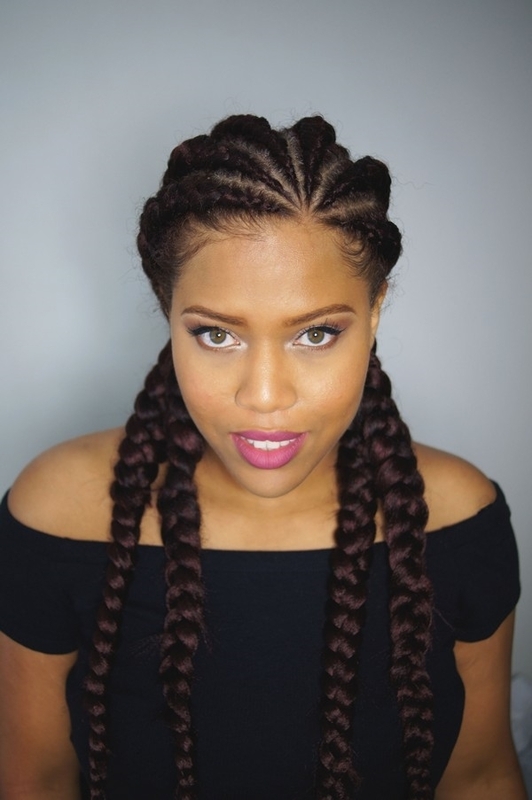 There are more such twists and braided hairstyles waiting just for you to pick them. So, which one are you choosing this time?